There is an unfolding scandal involving one of the best known gamblers in the world, Phillip Ivey, Jr. who has been accused of card-cheating in baccarat to the tune of $9.6 million. What is striking to me is how such allegations are treated as civil rather than criminal matters, particularly given the allegations by Borgata Hotel Casino & Spa filed in its federal lawsuit against Ivey in using effectively marked cards. The casino reads like a new script for Ocean’s Thirteen with the use of flawed dice created at a Mexican factory. I could find no reference to the lawsuit (or another lawsuit by the Golden Nugget) on Ivey’s website. Borgata alleges that Ivey used a defect in cards made by Kansas City card manufacturer, Gemaco Inc., that allowed him to engineer good cards to be dealt in a way to predictably win at baccarat. (Gemaco Inc. is also being sued, including a lawsuit by the Golden Nugget that alleges that the company provided unshuffled cards that allowed gamblers to beat the casino for $1.5 million) The casino details four games in April and October 2012 and what it alleges was “edge sorting” in violation of casino rules and gambling regulations. This was allegedly done by using a defect in the pattern on the back of the cards. The cards have rows of small white circles that are meant to look like the tops of cut diamonds, but some of them allegedly were only a half diamond or a quarter of one. The complaint is an insight into card cheating. It claims that Ivey and an associate told the instructor to flip the cards in a particular way depending on whether the card was desirable or undesirable. The former are cards numbered 6-9. This allowed the good cards to be arranged in a way that allegedly allowed the irregular side to be facing in a specific direction when they came out of the chute. In addition the casino says that Ivey insisted on an automatic shuffling machine so that the alignment would not change. 5:12-113. Swindling and cheating; penalties. 113. Swindling and Cheating; Penalties. a. 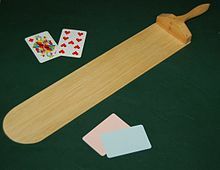 A person is guilty of swindling and cheating if the person purposely or knowingly by any trick or sleight of hand performance or by a fraud or fraudulent scheme, cards, dice or device, for himself or herself or for another, wins or attempts to win money or property or a representative of either or reduces a losing wager or attempts to reduce a losing wager in connection to casino gaming. b. Consolidation of offenses. Conduct denominated swindling and cheating in this section constitutes a single offense, but each episode or transaction may be the subject of a separate prosecution and conviction. A charge of swindling and cheating may be supported by evidence that it was committed in any manner that would be swindling and cheating under this section, notwithstanding the specification of a different manner in the indictment or accusation, subject only to the power of the court to ensure a fair trial by granting a bill of particulars, discovery, continuance, or other appropriate relief when the conduct of the defense would be prejudiced by a lack of fair notice or by surprise. c. Grading of swindling and cheating offenses. (1) Swindling and cheating constitutes a crime of the second degree if the amount involved is $75,000 or more. (2) Swindling and cheating constitutes a crime of the third degree if the amount involved exceeds $500. (3) Swindling and cheating constitutes a crime of the fourth degree if the amount involved is at least $200 but not more than $500. (4) Swindling and cheating constitutes a disorderly persons offense if the amount involved is less than $200. (5) The amount involved in swindling and cheating shall be determined by the trier of fact. Amounts involved in acts of swindling and cheating committed pursuant to one scheme or course of conduct, whether from the same person or several persons, may be aggregated in determining the grade of the offense. This is why I find it so odd not to see any criminal or regulatory charges if these allegations have merit. It apparently is not considered a form of fraud or con game if the alleged victim is a casino. Perhaps one of our gamblers can enlighten us. Borgata is suiting the lawsuit but failed to properly allege details in the complaint as noted by U.S. District Court Judge Noel Hillman. They have until April 24, 2014 to correct the errors. No such thing as a professional gambler. Professional “gamblers” don’t gamble. They only make sure bets that they know will have them win a little more than 50%. A 1% or less winning margin is all a casino needs to make huge bucks. Win $10,000,000 and lose $9,000,000 a day and the casino is ahead by $1,000,000. This might be composed of hundreds of individual small percentage wins. paul, i am sure that doyle brunson (the “godfather” of modern-day poker) was referring to the side action i described. most players, especially the fish, prefer to play in the relative safety of a casino cardroom rather than in an unknown, unregulated and unsupervised private game. i repeat that, before mr. ivey sat down to play baccarat against the house, he had already reached an agreement with the casino about his non-standard conditions. i am quite certain that while he was playing for big bets, there were two or three pit bosses and shift managers present to watch the game. this is a dumb lawsuit. nick, i regularly read mr. turley’s blog about once a week. i have made only one earlier contribution, about the irreverent al charlatan and the tawana brawley fraud. alan, I’m a PI who worked for attorneys like yourself. Stick around on other topics. There is the insurance scam attorney post today that might interest you. paul, i assume that you mean live (non-tourney) action in the poker room, rather than a private game away from the casino. the live action in a poker room during a tournament (which can last from a few days up to almost two months) heats up significantly. there are more and more tables of higher and higher stakes. in fact, many poker pros don’t play any tourneys at all, but follow the tournament trail around the country for just that reason. I heard Doyle Brunson (sp?) talking about playing poker outside the tournament and it sounded like private games, but I would not know for sure. They were also betting on golf, etc. at high stakes. 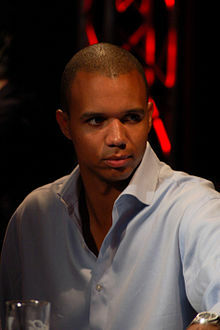 Personally, I liked Phil Ivey when he first started playing on tv, but later he seemed to get a different vibe about him. Although in this case I think the casino’s case is against the card manufacturer, but at the same time, since it seems to be a common occurrence, they should have caught it. i practiced law for 35 years, almost all of which was insurance defense litigation. i saw a lot of dumb lawsuits. this is a dumb lawsuit. so-called “edge sorting” has been around for many decades. this is available where the markings along the long edges of cards differ slightly. the actual technique is available through a quick google search. casinos don’t make very much money from poker games. poker players do not play against the house; they play against each other. the house makes a few dollars on each hand, or charges a few dollars per player per half-hour. so when a well-bankrolled poker player ventures into a casino pit, away from the poker room, casino execs welcome him. in this case, the casino actually agreed to certain non-standard “conditions” demanded by mr. ivey before he would play baccarat against the house. he demanded (1) that the cards be dealt (facedown, of course) before he made any bets, and (2) that after the hand, the dealer would “rotate” some of the used cards before they were put into the “muck.” after a few passes through the entire shoe (of several decks), when the muck was re-shuffled each time by a shuffling machine, all the cards were aligned in a manner that allowed ivey to look at the proper long edge on the backs of the cards, and identify which cards were favorable and which were unfavorable. he then made bets accordingly. mr. ivey never touched any of the cards nor the shoe. alan – I have heard that there is more money won or lost at private games during the poker tournaments than during the event. Well, Doc, I just listened to that podcast interview you gave. You explained what occurred superbly. So, no question. I will now be watching your 9 minute video on edge sorting. I consider you a great find. And, I would encourage you to comment here regularly. A person of your intellect would be a great addition. We can learn from you and you might learn a bit from folks here. Our host is a learned man. He not only teaches, he takes cases. That means a lot in my book. I’m primarily a craps player. I also play blackjack. I play nothing else. Nick the choir boy gambling. Say it ain’t so. It is SIN herr mongers!! I am heart broken once again. A conservative doing it with whales. A whale of a tale it is, a whale of a tale it is. Damn, Eliot! You are the expert on this. I have heard all US casino’s are becoming more vulnerable because of over saturation of gambling and Macau. As you know, Asians LOVE to gamble and are a high % of whales. Many are going to Macau. I have bookmarked your website. I’m a gambler of 40 years. Not a whale, mostly a grinder. Give us your take on this. Hi Nick, thanks for your nice words.Do you have a specific question? Time to “fact-check” Jonathan. Ivey is SUING Genting. I’m trying for the 5th time! The casino in question[maybe the name is triggering the spam filter] is struggling desperately, as are all casinos in AC. A whale blackjack player negotiated a great set of rules for himself and played 2 hands @ 100k each. He took this same casino for 15 million! Frankly, A double tap trial right behind the ear! Nick, about 20 years ago I was in Vegas on company business. There was a news story on about the trial for 2 guys who had kidnapped a casinos owners daughter. I thought “WOW! The mob does not run this place any more!” I am still trying to imagine what the trial would have been like under Bugsy! From the facts alleged in the complaint it appears he grabbed a “natural opportunity that was GIVEN” only insofar as he duped Borgota (through a detailed set of instructions that Borgota agreed to) to set up the edge sort for him. Kind of like the victim of anyfinancial fraud “gives” the opportunity to the scam artist. I wouldn’t pay him either. That would be stupid twice. It is conceivable a casino might allow such a flaw or possible flaw to exist or appear to exist in order to allow them to claim a right to get their money back if they loose big. Gambling lawyer speaks out about this.